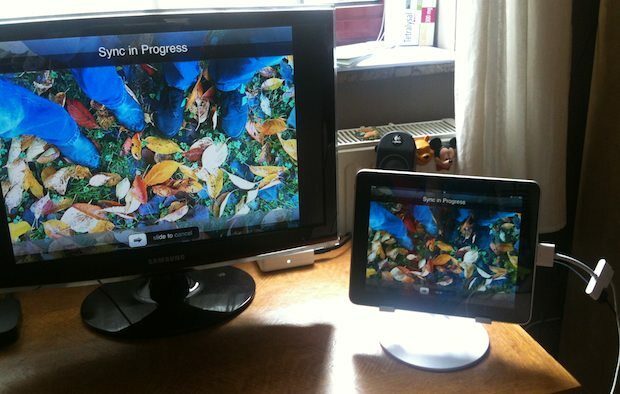 You can enable video mirroring on the first gen iPad and iPhone 4 by using a pretty simple hack. You’ll need a few things and some patience before you get started, but it’s really not that hard to get this setup and working. Jailbroken iPhone or iPad 1: You can use redsn0w 0.9.6rc9 or PwnageTool 4.3. If you aren’t sure what to do, follow our guide to jailbreak iOS 4.3.1 with redsn0w. 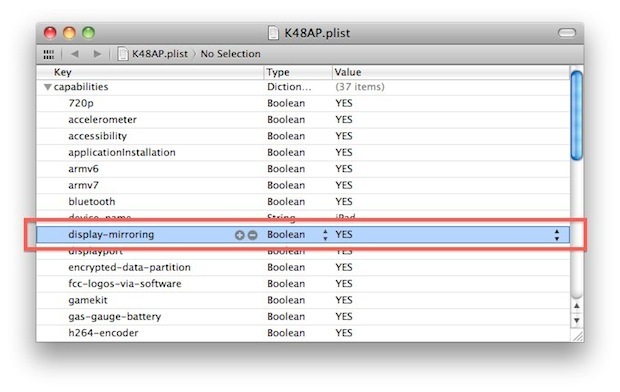 Save the plist file and upload back to the iPhone or iPad, then restart the device. Now just plug in the AV cable and start mirroring! This might even work with the iPhone 3GS and iPod touches but I can’t verify either. This hack and pictures come from NatureEyeStudios via MacGasm, what a great find! Very easy. I have to wonder why isn’t this just turned on in iOS 4.3.1 for everyone? Apple would sell more video cables if it was. So they can sell more iPad2s… until iOS5 has the feature enabled for everyone. I don’t own an iPad, so I’m not entirely sure what purpose this would serve. I guess for giving presentations? But iPad doesn’t have PowerPoint… though it probably has something similar. Um, Ipad does have powerpoint, and word, and excell…. Duh! A good reason to upgrade to iOS4.3.1, but can I mirror it to my Macbook? You can mirror it to your MacBook if you’re jailbroken with Veency on the iPad and something like Jolly’sFastVNC on the Mac. It primarily serves the purpose of presentations, yes, but it also works great for gaming on an iPad & a TV, for example. This tweak is great BUT!!! after did it, my cydia sources are gone, even all packages. FYI – because I couldn’t get it to work, I ended up finding an app called ‘Display Out’ that works great! I can’t find an iPad app called Display Out. I can’t find the DisplayOut app either. Where the heck is it? Display Out app is a Big Boss app available through Cydia. I have downloaded it but it didn’t work for me,it play just my app’s sounds so what should I do? i tried this thru iFile and edited the code… its works… but just wonder how to show it display to full screen on my LCD tv….? 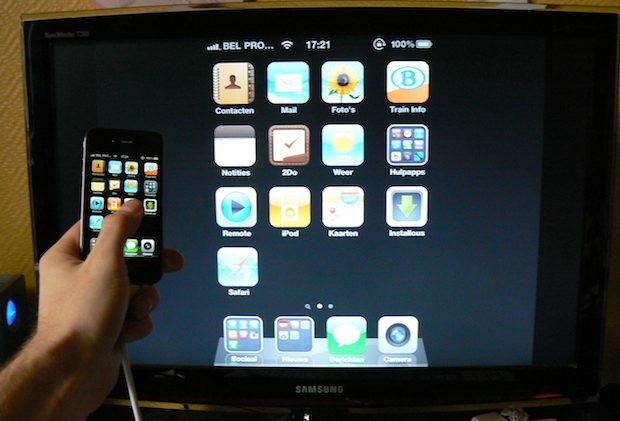 display mirroring not shown ios 5???? Thanks Matt. I tried this with iOS 4.3.3 & worked like a dream.i thought i had spent all that money on the VGA cable for nothing.I dint lose anything-neither the sources or anything else from Cydia. I had a presentation tomorrow & was saved by this. Thanks for the hack. I just did it on my ipad 1 with ios5.1. Didn’t think it worked until I rebooted. Its terrific. Very cool! If there is anyway to stream video (gps speedometer data) to a nano 6g, I’d be in heaven! I’ve thought about incorporating a gps in the nike foot sensor to get it a bit more accurate. Or stream the data straight from a iphone device. Does this work with iPhone 4 with ISO 7.1.1?